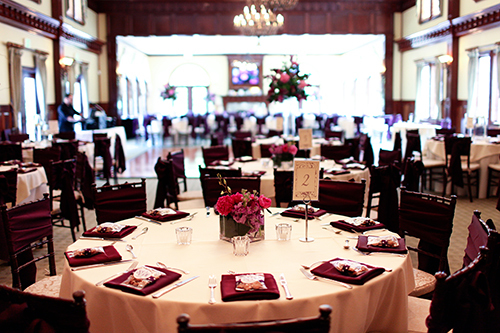 The Avondale Ballroom is one of our two ballrooms with a partial view of the gardens. The Wicklow Ballroom is our second ballroom with a view of the gardens. 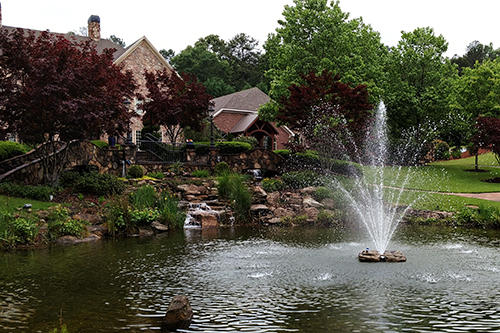 St. Kevin’s Garden is an outdoor reception site located in the heart of our beautiful landscaping. The Chapel is located in the peaceful gardens of Glendalough Manor adjacent to our tranquil waterfalls and pond. The Pergola is located in the peaceful gardens of Glendalough Manor adjacent to our tranquil waterfalls and pond. Molly’s Place is Glendalough Manor’s bride’s room that will be available to the bride three hours prior to the ceremony. Glendalough features a full service bar with DirectTV. A favorite place to gather for memories captured in photos. No need for catering with our full service commercial kitchen! The Avondale Ballroom is one of our two ballrooms which are located on the west side of the Manor with a partial view of the gardens. 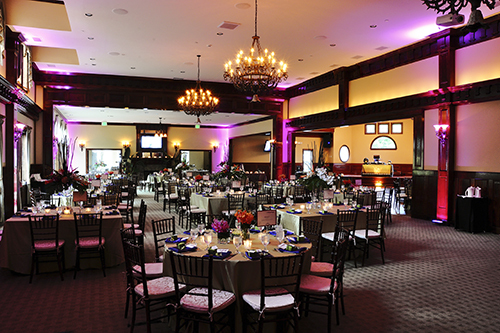 The Avondale ballroom is 2,700 square feet with 16 foot ceilings complimented by three beautiful chandeliers and a stone fireplace. With its spacious floor plan, the Avondale’s maximum capacity is up to 250 people depending upon the configuration of the room and the menu selection. The outdoor buffet area is beautifully covered and appropriately conditioned for buffet settings. The Avondale also contains two patios which overlook Glendalough Manor’s incredible surroundings. The Wicklow Ballroom is our second ballroom which is located on the east side of the Manor with a view of the gardens. The Ballroom has been recently expanded and is 5000+ square feet, with 16 foot ceilings complimented by three beautiful chandeliers and a stone fireplace. Past the fireplace, beautiful arched stone doorways lead into the spacious, hideaway buffet area. Along with a custom hardwood dance floor and prominent stage, the ballroom accommodates up to 450 people, depending on the configuration of the room. The space is also equipped with two cameras, as well as three 52” LCD tv’s, that will capture and display the special times throughout the reception. The Wicklow also includes an awning overlooking Glendalough Manor’s incredible surroundings. St. Kevin’s Garden is Glendalough Manor’s only outdoor reception site located in the heart of our beautiful landscaping. The garden is 2000 square feet and will accommodate up to 200 people on the Great Lawn* with room for a dance floor and a band or DJ. Restrooms are conveniently located directly behind St. Kevin’s Garden to provide convenience for you and your guests. *Note: Tent rental is required if using the Great Lawn. The Pergola is located in the peaceful gardens of Glendalough Manor adjacent to our tranquil waterfalls and pond. The ceremony area is set with laid stone to permit a dry area due to any unexpected weather. A garden ceremony at Glendalough Manor will allow you to have an intimate ceremony with a stunning view of the grounds. 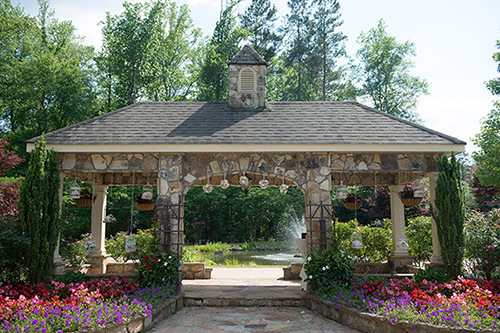 As an additional ceremony location, Glendalough Manor has a beautiful covered Pavilion area, complete with lighting, six outdoor fans, and a breathtaking arched cedar backdrop. The Chapel is located in the peaceful gardens of Glendalough Manor adjacent to our tranquil waterfalls and pond. The ceremony area is set with laid stone to permit a dry area due to any unexpected weather. A garden ceremony at Glendalough Manor will allow you to have an intimate ceremony with a stunning view of the grounds. 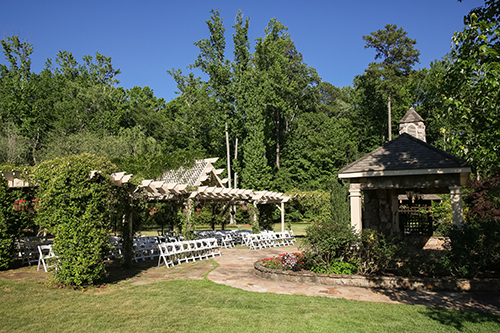 As an additional ceremony location, Glendalough Manor has a beautiful covered Pavilion area, complete with lighting, six outdoor fans, and a breathtaking arched cedar backdrop. Molly’s Place is Glendalough Manor’s bride’s room that will be available to the bride one hour prior to the ceremony. 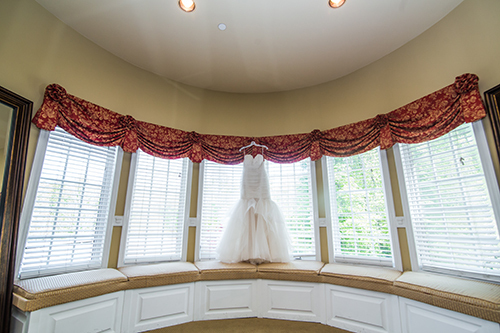 This 800 square foot room has a beautiful bay window overlooking the gardens and includes everything the bride and her bridesmaids need to prepare for the big day. Molly’s Place may also be used for small parties, business meetings, rehearsal dinners, and many other small events. Glendalough features a full service bar with DirectTV. 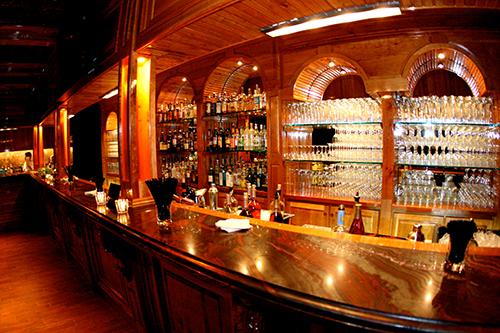 Our selection includes premium beer, wines and cocktails. A favorite place to gather for memories captured in photos. Glendalough features a quarter acre fresh water pond with two waterfalls accompanying a central water feature. 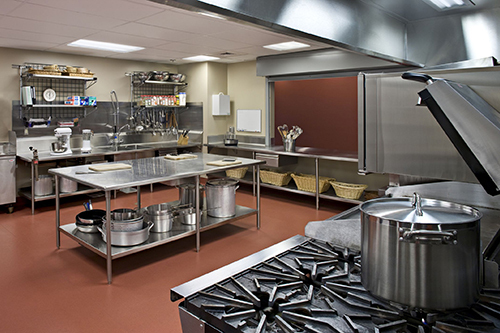 No need for catering with our full service commercial kitchen! See our pricing page for menu options.